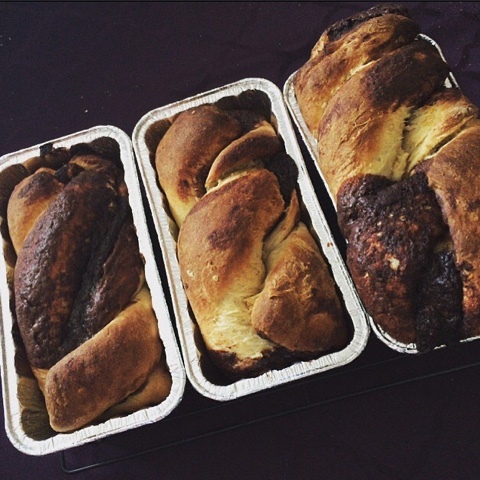 Itsy Bitsy Balebusta: Celebrate & Simply The Best Babka Ever! If you read my post at the very end of last year, you'll know that one of the words I'm focusing on this year is Celebrate. Celebrating the big, small and everyday moments with our family. 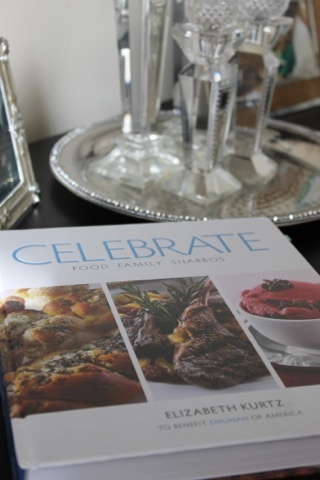 So it's absolutely appropriate that my new favourite cookbook is Elizabeth Kurtz's book aptly entitled, Celebrate: Food. Family. Shabbos. If I had a nickel for every time I told my husband I need a cookbook, well... I'd be able to afford a ton more cookbooks! Speaking of, you need this cookbook. And if my husband agrees that it's fantastic and worthwhile, when I have more shelves than I'd like to admit, packed with them, you know this is a big deal. Even though I'm quick to profess my love for cookbooks, I have a select few that are well worn and used meal after meal, week after week. Pages are splattered with various ingredients, there are notes neatly written in the margins and coloured tabs to make flipping to tried-and-true recipes quicker. The recipes made are family favourites, evoking memories of meals and connections. Otherwise, I turn to the remaining endless shelves of cookbooks, simply for leisurely reading and inspiration. 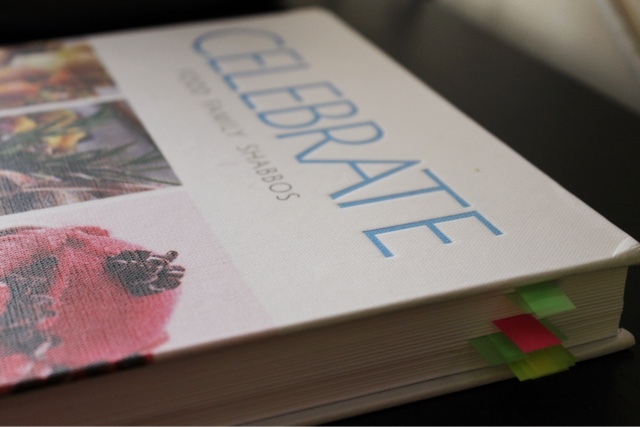 Celebrate is one of those very rare cookbooks, that satisfies both. I've spent quite a bit of time flipping through pages, bookmarking recipes, reading through the anecdotes and gaining inspiration. I've spent even more time in the kitchen preparing fantastic dishes from its pages! If you follow me on Instagram, you'll have already seen a bunch of dishes I've prepared and shared with followers. Like I said, it's become a staple. The book is clear, concise and very user friendly. The recipes are laid out cleanly and very easy to follow. 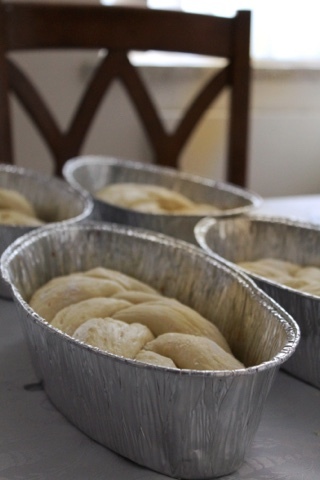 The added tips within the steps, such as the one included for poofing yeast in the Challah recipe, help ensure that each dish you choose to make is a success. Additionally, recipes come with directions for freezing and storing, as well as, for a vast majority, directions on how to make them Pesachdik! There's even a troubleshooting chart in the cookie section, to help solve any baking issues you may have had before. Rarely is there a cookbook that wants you to succeed so much in making its dishes! It's a comprehensive collection that leaves you feeling 100% confident that not only is Elizabeth Kurtz fantastic in the kitchen, but also completely knowledgeable and trustworthy. She is the blogger behind Gourmet Kosher Cooking, which has had millions of impressions and recipe downloads. Incredibly impressive and after trying a recipe you'll see, not surprising at all! And like I said, you can completely trust her! Her recipes have been no fail here so far and I'll even go as far as to say, are replacing classics! 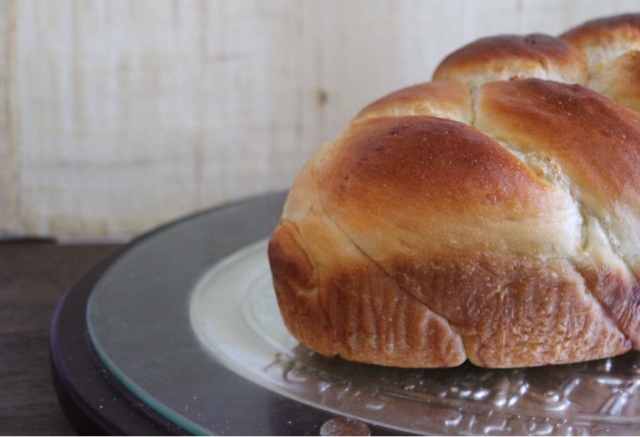 For instance, my husband was very particular about the Challah recipe I make every Shabbos. The few times I ventured out and experimented, were unfortunately met with disappointment and, "back to the regular next week?" I decided to test out the Sweet Challah, and I can happily say that I've now taken Challah twice using the recipe and our freezer has a steady supply built up! Maybe this isn't the biggest deal to, y'know, most people, but the addition of two ribbon bookmarks was just another example of the consideration shown to readers throughout the book! It's so rare that I'm making one thing at a time in the kitchen, so the luxury of being able to bookmark more than one recipe and flip back and forth with minimal work is an added bonus! Trying to prep Shabbos (or any meal really) while trying to keep my eye on a non-stop 2-year-old, while simultaneously keeping a 9-month-old entertained, is quite the juggling act. The fact that I can cook from this book, with (to date) no errors and great results, is a testament to how straight-forward and clear the directions and recipes are. The recipes themselves are sure to be family favourites. New flavours are embedded in dishes seamlessly, so that even the pickiest of eaters won't hesitate to give it a try. The flavours came together beautifully in the Zesty Caribbean Chicken and despite the fact that there were a few we'd be hesitant to try otherwise, altogether it was great! There are classics and new takes on classics. The Pumpkin Soufflé is light, flavourful and so easy to whip up! 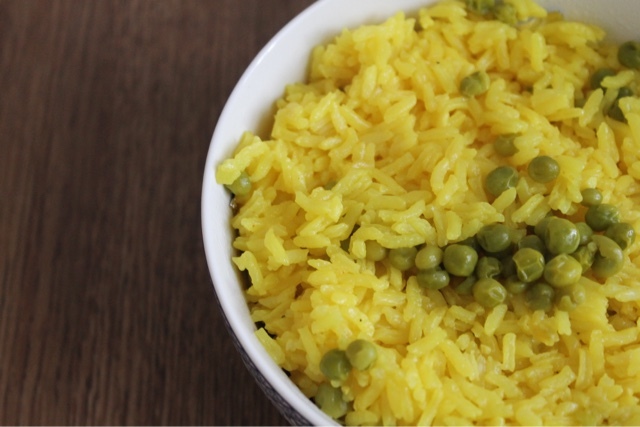 We've made the Yellow Tumeric Rice, more times than I can keep track of. After trying the Roasted Red Pepper and Jalepeno dip for Shabbos, my husband also added it to his fish tacos and sandwiches during the week - an example of the opportunities for versatility you'll find within these pages! The recipes are fresh, make use of ingredients you very likely already have stocked in your pantry and bring new dishes to your table while retaining a familiar and classic feel and flavour! And the desserts. Oh my, the desserts! 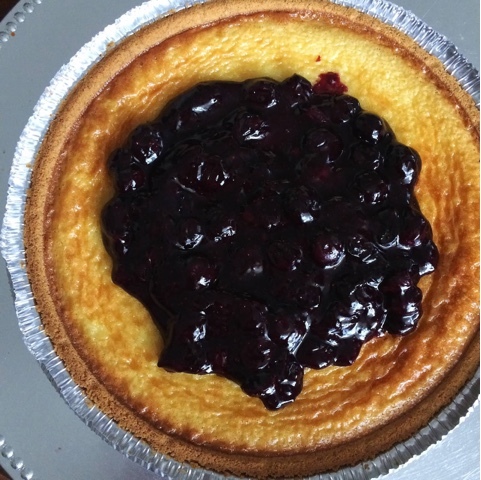 The Berry Custard Tart was so simple to make and absolutely fantastic! I can't even relay how much I loved the Creamy Lemon Tart - simple, quick, tart with such a perfectly smooth consistency! And finally, the babka. I'm always weary of any recipe that includes the word, "best" in its title, but this one truly deserves it. I made this during the boys nap and it was so fantastic we had one of the loaves fresh from the oven that evening, and I just had to share one with my sister-in-law, the next day! And once you taste it, none of these reasons will matter because it'll simply taste like the best babka you've ever had! I've very kindly been granted permission to share the recipe with you, so go make it asap, have one loaf fresh from the oven because it's just gotta happen (& you just made homemade babka, so you deserve a treat!) and then once you realize it really is the best babka ever, go out and get this cookbook and discover all the other amazing recipes within it! And if you needed just one more reason to consider it (reallllly?!) the cookbook benefits Emunah of America, an organization that, "is all about caring for those who need extra care." They work to restore children and families in distress, back to health, have homes for children in dangerous situations, daycares, counselling and programs for the elderly as well. Throughout the pages of the cookbook, you're given a glimpse into their work and the children and adults they help each and everyday. The purchase of this cookbook will touch the life of a child or adult who relies on Emunah for help. 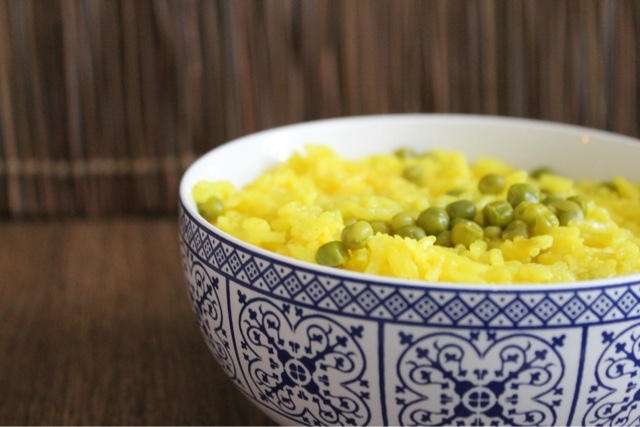 Initially appeared in the Emunah Cookbook, Chef's Confidential. Reprinted with permission from Celebrate. Combine flour, yeast, sugar, vanilla sugar, margarine, water, eggs, egg yolks, and salt in a large bowl. Turn out on floured board and knead 5 minutes, adding up to 1 cup of flour if dough is sticky. Allow to rise in a large bowl covered with plastic wrap for 1 1/2 hours. Crumble margarine with flour and sugar in a small bowl, using fingertips. 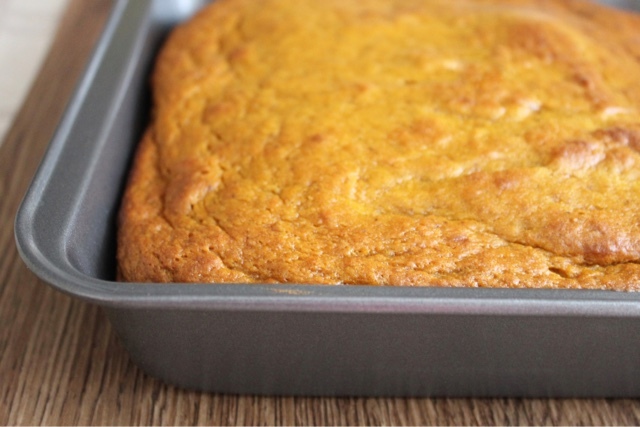 Spray 4 (10 inch) loaf pans with nonstick cooking spray. Divide dough into 8 pieces. Using a rolling pin, roll each piece into a 1/2 inch thick rectangle, the length of the loaf pan. Spread filling onto each rectangle, within 1 inch of borders. Roll from long side, like a jelly roll. Twist 2 rolls around each other and place a twist in each pan. Using all the crumbs, sprinkle a quarter of the crumb topping on top of each babka. Let rise for 30 minutes. Bake for 30 minutes. Cool for 15 minutes in pan, then remove and cool completely on wire rack. This freezes well. Wrap tightly in plastic wrap and store in freezer. Defrost in the refrigerator and serve at room temperature. In a small bowl, combine margarine, chocolate pudding, egg, water, sugar and cocoa. Use an eighth of this recipe for each section of dough. Disclaimer: This a review copy of this cookbook was generously sent to me. The ideas and opinions expressed within this post are completely mine, and are the product of truly cooking my way through the book and using it in our home.